Born on May 20, 1935, in Brainerd, Minnesota, he grew up fishing, trapping, boating, water skiing, and enjoying the outdoors. In 1955, at the Lutheran Church, he married his sweetheart, Marilynn Henkel of Fargo, North Dakota; and the couple had four children. He liked to stay busy and between 1965 and 66’, he built a house on Little Floyd lake and ordered a beautiful 1966 Pontiac Grand Prix. His love of cars and Pontiacs continued throughout his life. In 1980, his favorite movie, Final Countdown hit the theatres; and this same year his creativeness and ingenuity were rewarded when he was granted a U.S patent for an aluminum airplane kit. His love for airplanes and flight was strengthened during his service with the 178th Fighter Squadron of the North Dakota Air National Guard’s Happy Hooligans. Later, after moving to Montana, he continued his service with the 163rd Montana Army National Guard. In the 1990’s, he received his pilot’s license and soon owned an Ercoupe. Whether building ice boats, wood working, archery, or helping others, he always strived to do his work with integrity and excellence. 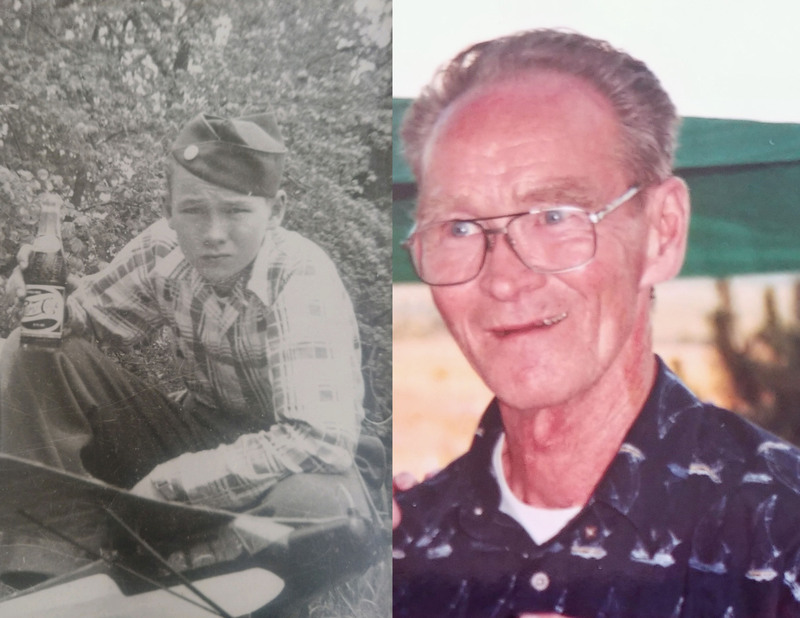 Throughout his life, he never lost his enjoyment for having BBQ’s with family and friends, flying model airplanes, or spending time on the lake. A celebration of life will be held at 3640 Pelican Road, Helena, Montana, May 18, 2019, at 1:00 p.m. The family is grateful for all those who wish to come share stories and reminisce. Please visit below to offer a condolence or share a memory of Donald. Briggs Family, So sorry to hear of Don’s passing. I have fond memories of visiting with Don and Marilyn at the family home. Don was never without a big grin on his face and a cup of coffee in his hand. Please know you all are in my thoughts and prayers. Dear Dad we have spent alot of time together and I have learned so much from you. No words can even come close how much I love and miss you. From teaching me to ride my first bike , flying U control airplanes to working on cars and boats. I will be crushed for sometime but I am so glad your at peace beloved Father. I’m very sorry for your loss. Losing a loved one might just be the saddest experience there is. That’s why I’d like to share with you a message of hope that helped me cope with my grief. God’s Word, the Bible, compares death to being asleep (see 1 Thesalonians 4:14). Jesus Christ himself said “The one who exercises faith in me, even though he dies, will come to life” (John 11:25). God is very interested in providing us confort in times like this (2 Corinthians 1:3,4). This words have given me hope and I felt the need to share them with you. If you want to know more regarding God’s promises or how to cope with your grief you can find very useful and practical information in jw.org. I used to love hearing the stories of all the fun times you shared with your Dad, Damian. I remember driving past your house on Broadway and seeing you and your Dad tinkering on vehicles or just enjoying each others company. You gave him a good life in his later years….how blessed you all are! My love to you and the rest of the family. I remember spending alot of time at the house visiting with your parents, just having good times weather it was watching movies on the porch talking to your mom or just tinkering with projects. Your family always treated me like an extended family member and were just plain “good folks” your dad was knowledgable in so many things, i sometimes would just come over and talk to him about car things and if i couldnt figure it out he probably already had the answer. Donald was just a great guy whom had tons of good stories… he surely will be missed. His legacy lives on through his family, and i am i cherish the friendships made. Damian, Carol and I are so sad to hear about your father passing away, we know he is looking over you all…..i just wanted to let you know if there is anything you need i am a phone call away…. Just want to extend our sincere condolences to the Briggs family for your loss, Don was such an outgoing and friendly man. Always had a ready smile. We enjoyed many gatherings for family barbecues and these events were always so much fun. Damian, we know how close you were to your Dad and how much he meant to you. So sorry, but in time you will thrive in the wonderful memories and he will always be in your heart. May Don be blessed and rest in Peace. Peace and comfort be with all of you. It really saddens my heart to hear that Don has passed. He was such a kind and gentle man that welcomed me into his family like one of his own. He was always quick with a smile and treated me like a young adult rather than a naive teenager. I will miss having coffee with him and Marilynn, listening to their stories, and learning so much from him about pursuing your dreams and not giving up in the face of diversity. Your friendship had a big impact on my life Don. I will miss you sir! I look forward to seeing you again on the other side. Damian, I’m so sorry to read about your dad passing! He was such a kind person. I will miss you and all the help you have given me and taught me over the years. You could do anything, build houses, roofing, plumbing/heating, electrical, fixing cars, building planes, drawing, etc. Whatever or whenever you needed help with anything, he was always there and could fix anything. His most favorite place was our home on Little Floyd Lake in Detroit Lakes, Minnesota. We had a cabin, garage and the 4 bd-2 bth house that Dad build. He build boats also. It was so great having a lake out your back door. We also had a 40 acre farm near Rock and Rice Lakes, Dad’s parents lived there and he would take care them as well. We would have relatives from Fargo, ND, Moorhead, MN, and Helena, MT(Duels & Susags)come visit us in the summer and we had such great times and now great memories. I could not have asked for a better father then my dad, Donald L. Briggs, he was a Super Hero! I will miss you, Dad, but I know you are with the Lord and I will see you again. I worked with Don for a short time in the late 1960’s at Midland Hospital Supply in Fargo. I always remembered him because he encouraged a young kid just getting started. I appreciated that and I am happy that he had a great life. My sincere condolences for your lose. He was a fine man.